We all know how important it is to keep our devices charged up. But all too often, the chargers that come in the box are too weak to fill up our phones as fast as we'd like (we're looking at you Apple). Today's deal solves that problem: Amazon is selling the Aukey USB-C PD 18W charger for just $11Remove non-product link with the code HWCPT8E8, a 50 percent savings off its $22 list price and the lowest price we've ever seen. It's so low, in fact, that you can buy two for $7 less than Apple charges for one. 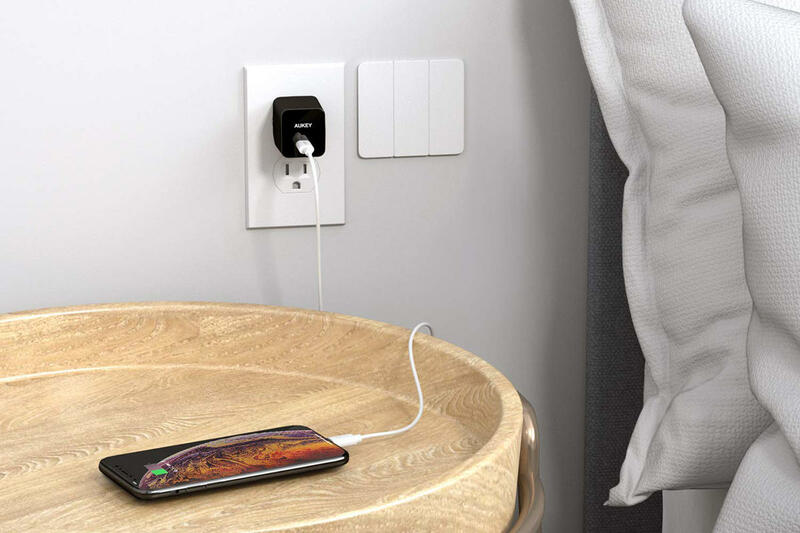 This compact charging cube brings fast charging to your device with its Power Delivery USB-C port. Its small size prevents it from blocking other outlets, while a foldable plug helps it transport easily so you can slip it into a bag or briefcase on the go. For safety while charging, this charger is equipped with protections against surges, overcharging, and overheating. We haven't tried this charger ourselves, but we're fans of Aukey's products. And previous purchasers on Amazon seem to love this one, giving it 4.2 stars out of 5 over more than 80 user reviews.